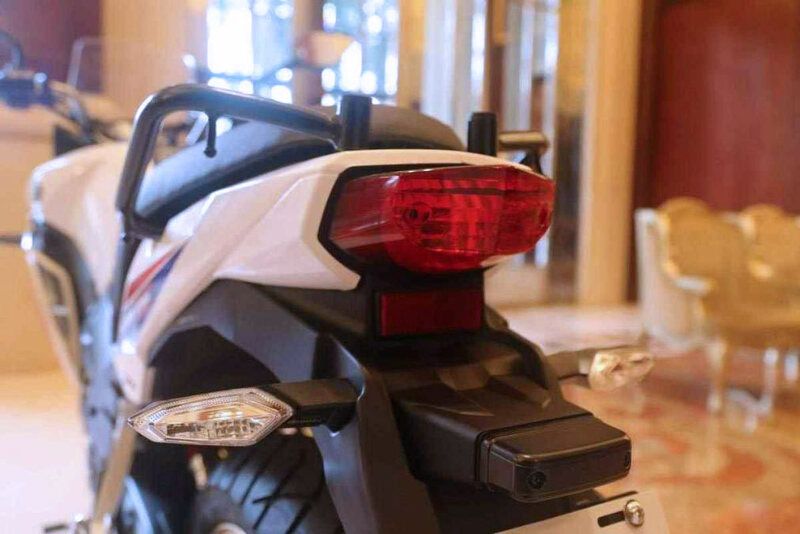   ADV Bikes  Honda CBF190X: A Mini Africa Twin Coming? 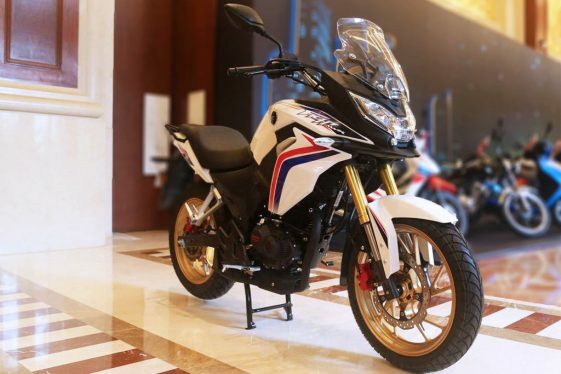  Honda unveils a small-displacement Adventure Bike at the CIMAMotor show. 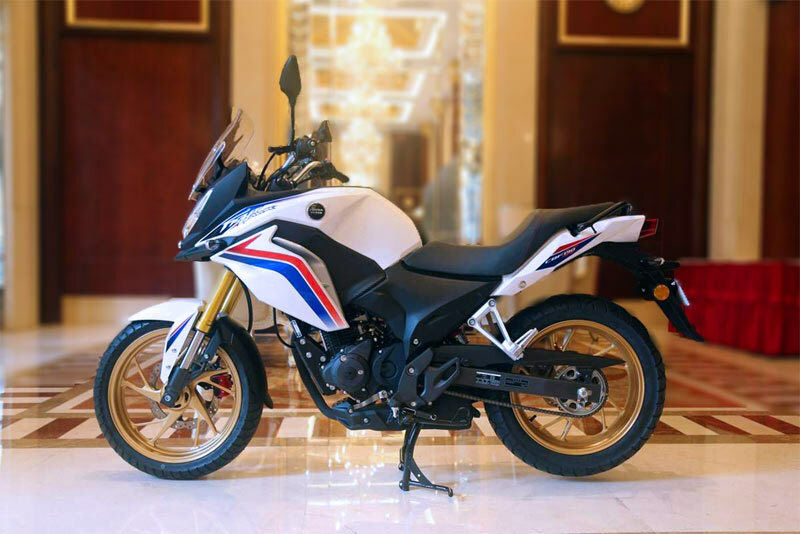 Honda unveiled a small-displacement adventure tourer, the CBF190X Fight Hawk, in China at the 2016 China International Motorcycle Trade Exhibition. The CBF190X is powered by a 184cc SOHC air-cooled single-cylinder engine that produces 15 horsepower at 11,000 rpm and 11 lb.-ft. of torque at 7,000 rpm, mated to a 5-speed gearbox. With its Honda heritage colors, the styling of the new CBF190X is inspired by the CRF1000L Africa Twin. Although, it appears to be designed more for street use riding on 17-inch cast alloy wheels. Yet at 326 pounds (148 kg), it should still be able to scurry down a trail with ease. No doubt it will be an economical and reliable starter bike, perfect for riding around town or embarking on your first adventure. The CB190X will initially be released in the Chinese market. No word yet on whether Honda will release the CBF190X Fight Hawk globally, but this is yet another sign that the industry may be shifting its focus toward developing smaller displacement Adventure Bikes. Baby Africa Twin? Not even close. I drive a red car, Ferraris are traditionally red, I guess I drive a baby Ferrari. This is nothing more than a commuter bike. Really a glorified city scooter. Hilarious that it has a rear seat and pegs. Ironically, it also has a center stand and the AT does not. Was thinking of teaching my daughter to ride, and bringing her on some adventure trips with me. This might be perfect. Cute little bike, but it’ll never make it to America. Hopefully the CB500X gets an Africa Twin makeover in the near future.